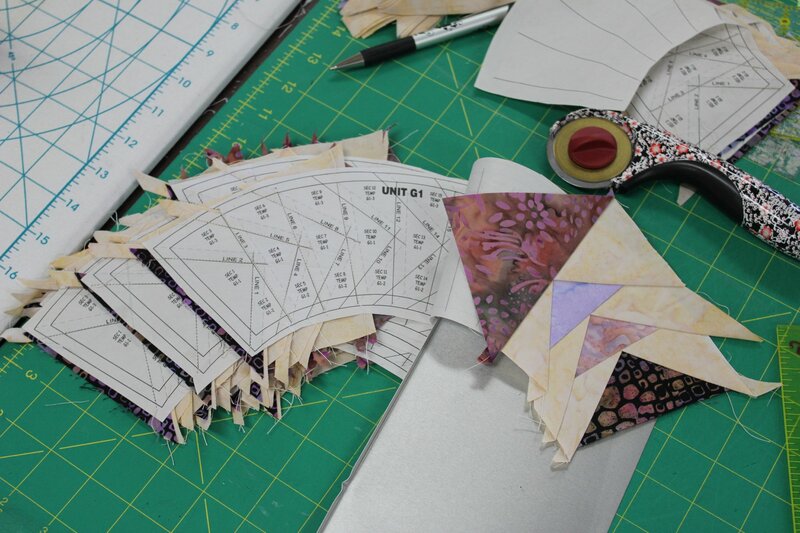 The Judy Club is an instructor-led support group for quilters working on an in-progress Judy Niemeyer quilt project. If you have taken a Judy Niemeyer class at Ruby Street Quiltworks or with Certified Instructor Melanie Castle you are invited to join the club. Melanie will be at each meeting to offer expert advice, assistance and inspiration. Join in and finish that Judy Niemeyer masterpiece! The Judy Club meets the first Friday of each month from 3 - 6 pm. There is a $25 Instruction Fee per meeting. Attendance is limited to allow space to work on your quilt. Register in the store or online to reserve your space. Let us know what project you are working on when you sign up. If you are not able to attend a meeting after you have paid the Instruction Fee let us know as soon as possible so your space may be offered to another member. A full refund will be made in the form of a store credit, which may be used towards the next meeting, another class or any purchases in the shop, so long as you notify us at least 5 days in advance of the meeting. We regret that, on occasion, we must cancel a meeting because of lack of attendance or due to an unforeseen illness or emergency. Of course, in this event we will fully refund your Instruction Fee either to your credit card or in the form of a store credit.